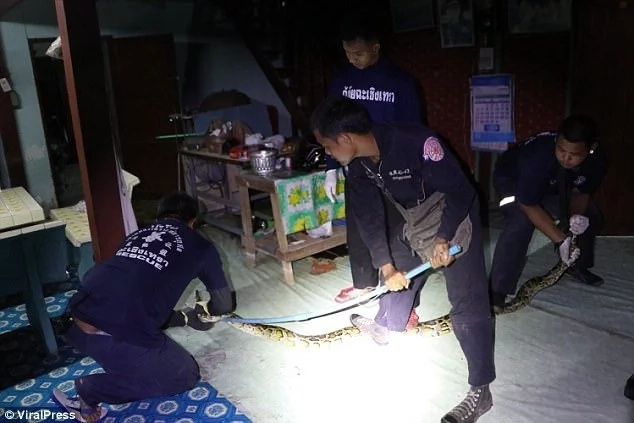 A 53-year-old woman in Thailand's Chachoengsao province was terrified to find a huge 3-meter-long python hiding under a table in her house recently. 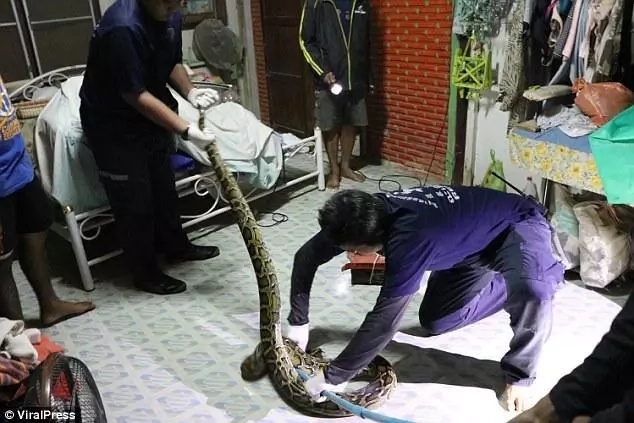 Kesinee Jittakit was retiring to bed on October 5 when she heard a hissing sound. She then saw the massive serpent trying to attack her pet kitten. 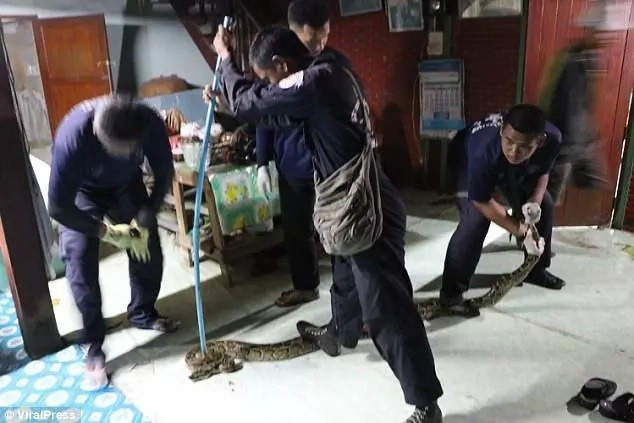 The mother-of-two immediately fled the house and called the police, who then called snake catchers to remove the reptile. A video has surfaced showing the catchers wrestling with the snake as it writhed and tried to get away. After a brief struggle, they eventually captured it and relocated it to a safe place in the wild. In an interview, Kesinee said: "I'm scared of sleeping in the bedroom now. I'll just stay on the sofa for a little while. I'm happy it's gone now and that my pet cat Mandalay is safe." The catchers said monsoon rains might have pushed the python out of its natural habitat and it might have sneaked into the house to catch the pet kitten.